The current treatment for osteoarthritis is to replace the affected joint with an implant. More than 270 000 knee and hip replacements are carried out annually in the UK alone. Unfortunately, the device sometimes fails to integrate with the bone, which may already be compromised by diseases such as osteoarthritis (OA). The answer is to make the implant 'biologically active' so that after integration, the bone and the implant behave more like one entity. "Coating with a biological material that will promote bone formation should encourage ‘osseo’ or bone integration," says Mary Murphy, scientific project leader within BIOSTEM. The team is optimistic that further optimisation of the coating with the addition of growth factors will add to these promising results, and expects additional improvements in implant quality. "Specific growth factors are required for generation of new bone and will increase osseointegration without potential side effects when localised to the area where they are needed," Murphy explains. Incidences of OA and the associated need for joint replacements will rise as the average age of the population increases. More critical is the rise in the number of younger people receiving joint replacements due in part to high-impact activities such as running. Murphy sums up the potential success of BIOSTEM research. “PEEK wears well and producing biologically active PEEK will increase osseointegration of joint implants to decrease the need for costly revision surgeries." Jessica Hayes, the fellow involved in the BIOSTEM project had just finished her PhD in surface modification for titanium implant removal for paediatrics when she was recruited for this Marie Curie Intra-European Fellowship for Career Development. "Involvement in this successful programme has certainly contributed to my subsequent achievements, such as becoming a Lindau Fellow, and my future involvement in a Horizon 2020 project, AUTOSTEM," she says. An EU-funded scientist has identified a promising method of encapsulating bio-active molecules in protein-based systems, which could enable food-makers to develop tastier and more nutritious products. Long term, this will contribute towards a healthier population and help reduce diet-related diseases. Fortifying foods with vitamins and other bio-active compounds has become common practice in Europe; you just have to look at the ingredients panel on a packet of sliced bread or a cornflakes box. This is often achieved by coating – or encapsulating – certain molecules and compounds in order to conceal their bad taste or smell and protect them during processing. However, encapsulating certain unstable bio-active molecules has consistently been a major hurdle for the functional food sector. “What the industry needs is a way of treating certain compounds in a manner that ensures their stability, protects them during food processing and then releases these compounds at the right time, either during food processing or in the gastrointestinal tract,” explains project coordinator Iris Joye, who is currently building on her successful research as assistant professor at the University of Guelph in Canada. Joye was able to focus on this challenge thanks to an EU-funded Marie Curie International Outgoing Fellowship, which took her from the University of Leuven in Belgium to the University of Massachusetts in the US. Supported by world-leading cereal science and encapsulation experts, she began by investigating the potential of emulsions to encapsulate oxidising agents for bread-making, but soon discovered that protein nanoparticles were more promising. This new method of encapsulation promises to make it possible to add bio-active compounds to food products, such as cereal products, more effectively. The compounds are then released into the gut at the right moment for maximum quality and nutritional benefit. The ancient coastal waters of the Pacific, roughly 11 to 5 million years ago, were home to a bizarre and fascinating species of giant salmon with large spike-like teeth. This spike-toothed salmon reached sizes of 3 to 9 feet in length (1-3 meters), much larger than the typical salmon found in the Pacific today. These hefty spike-toothed fish would have made for a difficult catch at nearly 400 pounds (177 kg). This is an illustration by Jacob Biewer. The spike-like teeth of the salmon could be over an inch long (3 cm), much longer than modern Pacific salmon teeth, even after compensating for their larger size. Researchers from California State University in Turlock, California have been studying the strange teeth of these unusual fish and discovered some tantalizing clues into their past behavior and life history. Much like modern Pacific salmon, the giant salmon was likely primarily a filter-feeder, so the spike teeth were probably not part of catching prey. Modern salmon go through physical changes in their body, especially their skull, before migrating upriver to spawn where males will fight to defend the eggs they have fertilized. To see if these teeth played an important role in breeding of the giant fossil salmon, the team of researchers, led by Dr. Julia Sankey, compared 51 different fossils from ancient deposits of both freshwater and saltwater environments. The teeth of these salmon found in past freshwater environments consistently had longer, more recurved teeth with much larger bases, as well as showed clear signs of wear. Fossil salmon teeth from saltwater deposits were much smaller and less worn. This indicates that they changed prior to migration upriver to spawn. These results help show that these impressive spike-like teeth of the giant salmon are indeed used as part of the breeding process in these extinct fish. 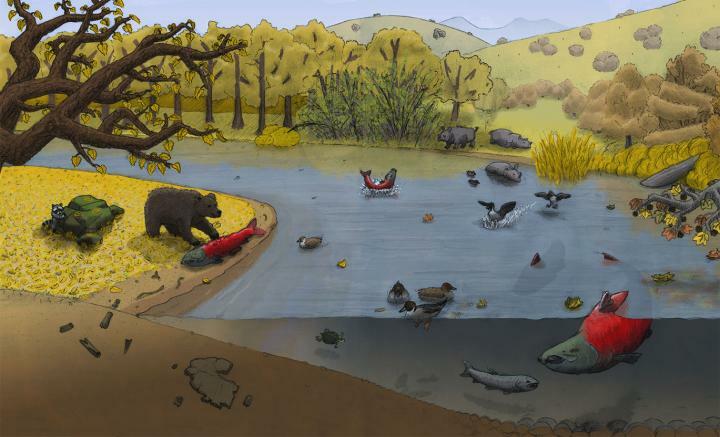 Researchers think it is likely these hefty bruisers were using their spike-like teeth for fighting and display against each other during the spawning season, up in the ancient rivers of California. "These giant, spike-toothed salmon were amazing fish. You can picture them getting scooped out of the Proto-Tuolumne River [near Modesto, California] by large bears 5 million years ago." said Dr. Sankey "Scientifically, our research on the giant salmon is filling in a gap in our knowledge about how these salmon lived, and specifically, if they developmentally changed prior to migration upriver like modern salmon do today. This research is also helping paint the picture of this area 5 million years ago for the general public and my college students, and it excites them to think of this giant salmon swimming up our local rivers 5 million years ago!". Dr.Sankey and colleagues presented their research at this year's meeting of the Society of Vertebrate Paleontology in Salt Lake City, Utah. Frankenstein as we know him, the grotesque monster that was created through a weird science experiment, is actually a nameless Creature created by scientist Victor Frankenstein in Mary Shelley's 1818 novel, "Frankenstein." Widely considered the first work of science fiction for exploring the destructive consequences of scientific and moral transgressions, a new study published in "BioScience" argues that the horror of Mary Shelley's gothic novel is rooted in a fundamental principle of biology. (A pdf of the study is available upon request). Steel engraving (993 x 71mm) for frontispiece to the revised edition of Frankenstein by Mary Shelley, published by Colburn and Bentley, London 1831. The novel was first published in 1818. Poster from the 1931 film Frankenstein. low at the Santa Fe Institute and an assistant professor in the School of Natural Sciences at the University of California, Merced. "Our study adds to Mary Shelley's legacy, by showing that her science fiction accurately anticipated fundamental concepts in ecology and evolution by many decades." Astronomers discovered a real "tell-tale heart" in space, 6,500 light-years from Earth. The "heart" is the crushed core of a long-dead star, called a neutron star, which exploded as a supernova and is now still beating with rhythmic precision. Evidence of its heartbeat are rapid-fire, lighthouse-like pulses of energy from the fast-spinning neutron star. The stellar relic is embedded in the center of the Crab Nebula, the expanding, tattered remains of the doomed star. This time-lapse movie of the Crab Nebula, made from NASA Hubble Space Telescope observations, reveals wave-like structures expanding outward from the "heart" of an exploded star. The waves look like ripples in a pond. The heart is the crushed core of the exploded star, or supernova. Called a neutron star, it has about the same mass as the sun but is squeezed into an ultra-dense sphere that is only a few miles across and 100 billion times stronger than steel. The movie is assembled from 10 Hubble exposures taken between September and November 2005 by the Advanced Camera for Surveys. This surviving remnant is a tremendous dynamo, spinning 30 times a second. The wildly whirling object produces a deadly magnetic field that generates an electrifying 1 trillion volts. This energetic activity unleashes wisp-like waves that form an expanding ring, most easily seen to the upper right of the pulsar. The bright object to the left of the neutron star is a foreground or background star. The nebula's hot gas glows in radiation across the electromagnetic spectrum, from radio to X-rays. The Hubble exposures were taken in visible light as black-and-white exposures. The Advanced Camera for Surveys made the observations between January and September 2012. 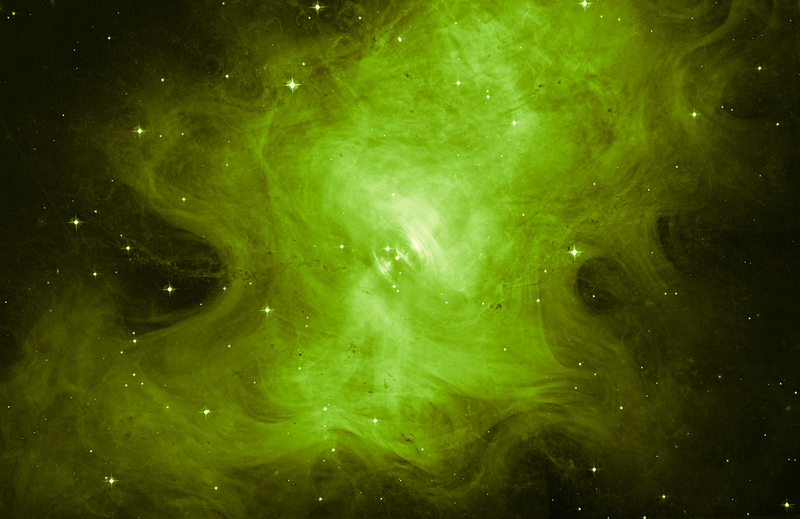 The green hue that gives the nebula a Halloween theme, represents the color range of filter used in the observation.. The Crab Nebula is one of the most historic and intensively studied supernova remnants. Observations of the nebula date back to 1054 A.D., when Chinese astronomers first recorded seeing a "guest star" during the daytime for 23 days. The star appeared six times brighter than Venus. Japanese, Arabic, and Native American stargazers also recorded seeing the mystery star. In 1758, while searching for a comet, French astronomer Charles Messier discovered a hazy nebula near the location of the long-vanished supernova. He later added the nebula to his celestial catalog as "Messier 1," marking it as a "fake comet." Nearly a century later British astronomer William Parsons sketched the nebula. 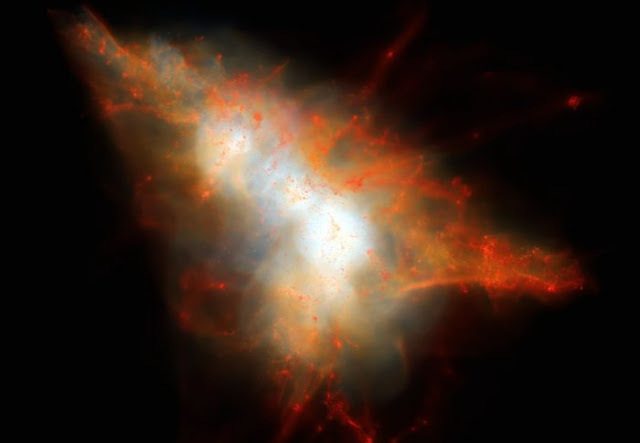 Its resemblance to a crustacean led to M1's other name, the Crab Nebula. In 1928 astronomer Edwin Hubble first proposed associating the Crab Nebula to the Chinese "guest star" of 1054. 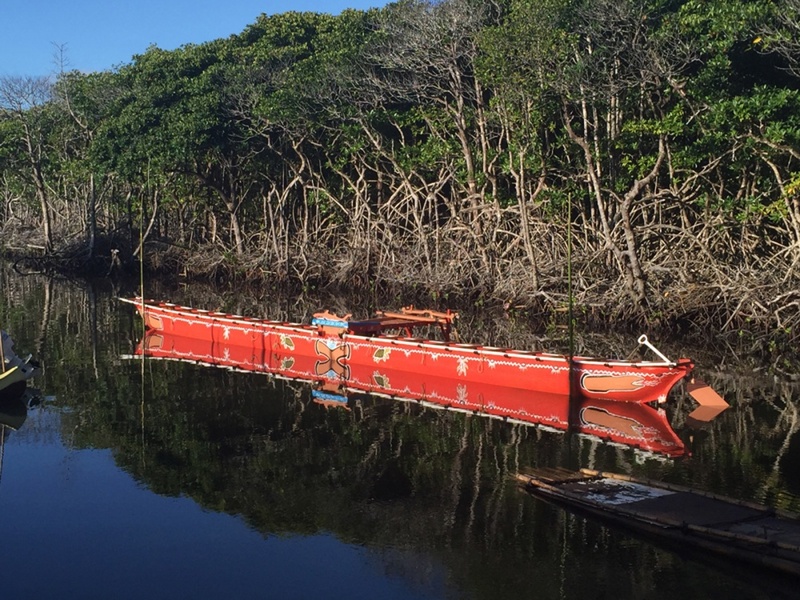 Seafaring settlers traveled hundreds — even thousands — of miles, navigating by stars and overcoming ocean currents and difficult weather for months to arrive in a region that includes present-day Tonga, Samoa, Hawaii, Micronesia and Fiji. Now research by a team that includes Scott Fitzpatrick, a professor in the UO Department of Anthropology, provides insights into how these early travelers came to populate one of the most remote regions on Earth. Map provides a synthesis of results from computer simulations and climatic data that were used to analyze ocean routes across the Pacific Ocean showing viable ocean crossings, weather patterns, seasonal variations and other factors in Remote Oceania. Fitzpatrick and his team, which includes Ohio State University geographer Alvaro Montenegro and University of Calgary archaeologist Richard Callaghan, offer some potential answers in a paper published Oct. 24 in the online early edition of the Proceedings of the National Academy of Sciences. The paper, “Using Seafaring Simulations and ‘Shortest Hop’ Trajectories to Model the Prehistoric Colonization of Remote Oceania,” details the team’s use of computer simulations and climatic data to analyze ocean routes across the Pacific. The simulations take into account high-resolution data for winds, ocean currents, land distribution and precipitation. 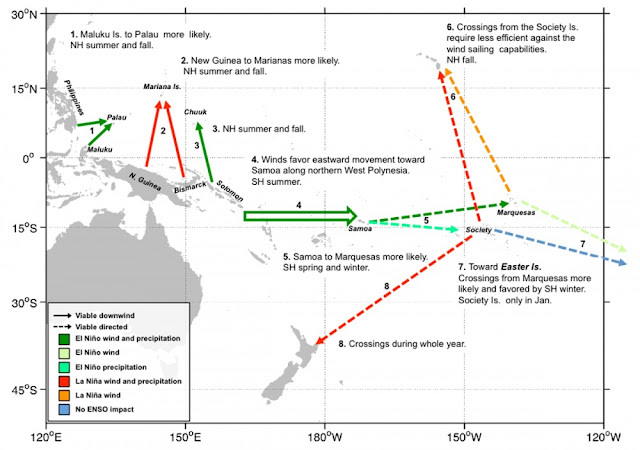 Fitzpatrick and his colleagues used their simulations to identify most likely ports of departure for the settlers of five major regions in Remote Oceania. To account for course variations due to wind and currents, the team created shortest-hop trajectories to assess the likely paths of least resistance. This technique factors in the role that distance and remoteness may have played in facilitating voyaging from one island to another and can include changes in sea level at different points in time that may have made these trips easier or harder. Seafaring models have been developed and used by other researchers in the past, Fitzpatrick said, but they weren’t able to fully harness the high-resolution satellite data sets that have only recently been made available to scientists. The research team’s simulations include El Nino Southern Oscillation patterns, which settlers most likely knew about and used to their advantage, Fitzpatrick said. Archaeological records reflect El Nino occurrences, which typically happen every three to seven years and can be seen in evidence marking droughts and fires. Because winds and associated precipitation shift from westerly to easterly during El Nino years, settlers would have found travel toward Remote Oceania more favorable when the pattern was occurring and may have timed their departures accordingly. “What Pacific scholars have long surmised but never really been able to establish very well is that, through time, Pacific Islanders should have developed a great deal of knowledge of different climactic variations, different oscillations of wind and changes in environments that would have influenced their survivability and their abilities to go to certain places,” Fitzpatrick said. The analysis provides insights about the origins of the early seafarers. The settlers of western Micronesia probably came from near the Maluku Islands, also known as the Spice Islands. Some of the team’s findings challenge current archaeological theories, while other data support existing lines of evidence. The research suggests Samoa was the most likely staging area for colonizing East Polynesia. It also indicates that Hawaii and New Zealand may have been settled from the Marquesas or Society Islands. Easter Island may have been settled from the Marquesas or Mangareva. The new paper also highlights areas worthy of further research. It suggests that Samoa may have been an epicenter for colonization and challenges data that suggests the Philippines as a potential point of departure for the settlement of Micronesia. The three team members brought complementary expertise to the study. Fitzpatrick contributed his knowledge of the archaeology of island and coastal regions in the Pacific and the Caribbean. Montenegro, the paper’s lead author, is a geographer and climatologist. Callaghan is an archaeologist specializing in seafaring simulations. A question that may never be resolved is why seafaring settlers traveled such immense distances. Although evidence exists that some settlers were motivated by a desire to obtain new resources such as basalt or obsidian for making stone tools, Fitzpatrick said, there’s no easy way to explain the leap of faith it would take to set off on a colonizing mission of 400 to 2,500 miles. W, a carcinogen made famous by the movie Erin Brockovich, is far more abundant in drinking water wells in North Carolina than previously thought, a new Duke University study finds. 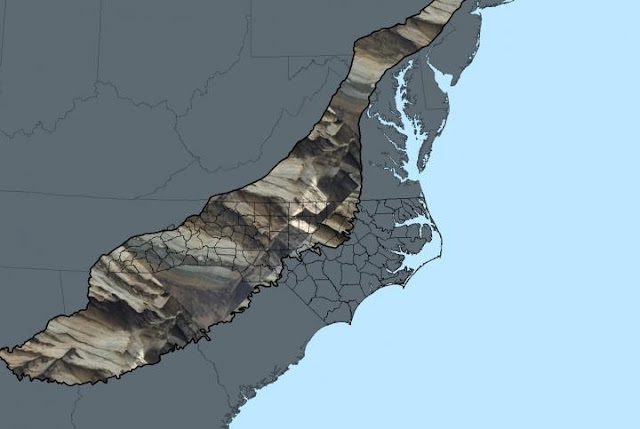 Groundwater testing revealed that nine out of ten drinking water wells in North Carolina's Piedmont region contain detectable levels of the carcinogen hexavalent chromium, and that the contamination stems from natural sources. "This, combined with the wide geographic distribution of samples containing elevated hexavalent chromium - regardless of proximity to a coal ash pond - points to the natural leaching of chromium from aquifer rocks in certain Piedmont geological formations," he said. Scientists have witnessed galaxies forming inside a mysterious giant space blob, which will one day form the heart of a giant galaxy cluster. Lyman-alpha Blobs (LABs) are gigantic clouds of hydrogen gas that can span hundreds of thousands of light years. Their structure looks relatively simple, but they glow far more brightly than might be expected. Credit: © Imperial College London. What causes the bright glow has been a mystery for 15 years, but now, scientists have confirmed that two galaxies are forming within the largest ever Lyman-alpha Blob yet discovered – LAB-1. Using an advanced telescope, the researchers have deduced that the blob is creating stars over 100 times faster than the Milky Way. It is this frenzy of star formation that lights up the surrounding blob. Key: 1) Central starburst galaxies, detected with ALMA. 2) Surrounding satellite – Low mass companions. Most of these are too faint to detect directly. 3) Central galaxies are emitting Lyman-alpha (Ly-α) photons from star formation. 4) The photons scatter off clouds of cold gas in the circumgalactic medium. Most of the cold gas is around satellites. 5) Scattered Ly-α escapes to our line of sight, giving rise to extended blob. LAB-1, or SSA22-LAB 1, was first seen in 2000. It was the first LAB to be discovered, and is located so far away that its light has taken 11.5 billion years to reach us. Measuring 300,000 light years across, LAB-1 is three times larger than the Milky Way, and this research shows for the first time that it is powered by elliptical galaxies at its centre. A team led by the University of Hertfordshire, and including researchers from Imperial College London, used the Atacama Large Millimeter/Submillimeter Array (ALMA), an array of telescopes with unparalleled ability to observe light from dust clouds in distant galaxies to peer deeply into LAB-1. This allowed them to pinpoint several sources of radiation and light within the space blob, where they spotted the two young, growing elliptical galaxies. The team, part of the JCMT Legacy Survey, then combined the ALMA images with observations from the Multi Unit Spectroscopic Explorer (MUSE) instrument mounted on the European Southern Observatory (ESO)’s Very Large Telescope (VLT). This maps the light that is emitted from the blob, known as Lyman-alpha light and it showed that the sources of light are the forming stars in the very heart of the Lyman-alpha Blob. This video zoom sequence starts with a wide-field view of the dim constellation of Aquarius (The Water Carrier) and slowly closes in on one of the largest known single objects in the Universe, the Lyman-alpha blob LAB1. Observations with the ESO VLT show, for the first time, that the giant “blob” must be powered by galaxies embedded within the cloud. LABs are bright but have a murky glow. The team used a galaxy formation simulator to show the glow might come from ultraviolet light being scattered and bouncing off surrounding hydrogen gas, as a result of the star formation. Being sick can really put a damper on your day or week, and if you’re achy, sneezing and just downright miserable, you may not be able to tell if you have a cold, the flu or allergies. Although you may opt to try to fight the sickness with hot tea and bed rest, it’s best to know what ailment is plaguing you so you can treat it accordingly—especially if it’s contagious. Cindy Weston, DNP, RN, FNP-BC, assistant professor at the Texas A&M College of Nursing, helps break down these congesting conditions. There are many different viruses that can lead to a common cold, and they can be difficult to treat because antibiotics are ineffective against viral infections. The only thing you can do for the common cold is treat your symptoms, drink fluids and get plenty of rest. A cold will usually go away on its own within a week and typically doesn’t warrant a trip to your health care provider. If you’re still feeling bad after a week, however, or if your symptoms are severe or you have an underlying chronic condition like asthma, it might be time to seek help. The common cold can happen year-round, however it seems to be more common in the colder months when everyone migrates indoors and the virus is more communicable. Influenza is a year-round viral infection, with high outbreaks occurring between fall and spring, and one of the most common illnesses in the United States. According to the Centers for Disease Control and Prevention (CDC), there were an estimated 19 million medically attended cases of influenza during the 2014–2015 flu season. The flu, which can be prevented with a yearly vaccine, can have very similar symptoms to a common cold, but with a few distinct differences. When you have the flu, it’s best to get medical treatment—and fast. Anti-viral medications may be prescribed within 48 hours of the onset of symptoms to reduce the intensity of symptoms and lessen the chance of complications. Another common explanation for itchy or runny eyes or nose is seasonal allergies. When pollen is blown around on a windy day, these allergens can trigger chemicals in your body to defend against them. Seasonal allergies are typically easier to diagnose, mainly because of the lack of certain symptoms commonly found with the flu or a common cold. Seasonal allergies can develop at any age, so just because you didn’t have allergies during the last change of seasons, doesn’t mean you can’t develop them the next time. Also, allergies can be an asthma trigger, so getting a grasp on them can be important before they lead to further problems. The flu requires prescription medications to prevent complications, but apart from that, a cold, flu and allergies can be treated with over-the-counter medications, such as antihistamines or decongestants, and plenty of rest and hydration. Be sure to use as described and contact your health care provider or pharmacist to make sure you’re not double-dosing on medications. Also, if your nasal congestion becomes overwhelming, rinsing your sinuses with a nasal irrigation pot can help remove allergens and prevent infection in your sinuses. Be sure to contact your health care provider if your fever doesn’t go away, or if you have trouble breathing or keeping food down. While complications are rare, they are a possibility and should be caught early. Metabolism: What Is It And Can It Be Controlled? Surprise! Your metabolism can be managed, and you have the power to do so! “I have a fast metabolism; I can eat and eat and stay skinny.” Most of us have heard someone say this, and a majority of us have responded with annoyance and envy. But what is metabolism, and can we make ours run a bit faster? Taylor Newhouse, a registered dietitian with the Texas A&M School of Public Health, helps break down what you should know about your metabolism. Your metabolism isn’t just what keeps your bragging friend lean, it’s the constant process that your body is using to keep everything functioning. Your metabolism is always running, even when you’re sleeping. Some people do have faster metabolism than others, and that is the work of genetics and someone’s lifestyle. Although there’s nothing you can do about your genetics, there are ways to impact the lifestyle side and give your metabolism a boost to keep it running in high gear. Because the metabolism’s base rate is set by genetics, there’s no quick way to rev it up; it cannot be changed without making some long-term lifestyle changes. If you’re looking to boost your metabolism, then there are a few changes you can make throughout the day. Working out, hydrating and eating right can help with your overall health, but there are also specific habits you can foster in order to give it a boost. Apart from getting in more muscle-building workouts and eating better, another important habit to kick your metabolism into gear is not ignoring the most important meal of the day: breakfast. If it’s possible to speed up your metabolism, then it’s equally possible—and far easier—to slow it down. There are many habits that are easy to fall into that can make your metabolism run at a slower pace. One of these happens in the late hours of night, and involves what you’re not doing: getting enough shut-eye. Sleep deprivation is one of the biggest epidemics in American society, with more than one-third of adults getting less than the recommended seven to eight hours of sleep each night. Sleep is not only crucial for your metabolism, but skimping on sleep can also lead to long-term conditions such as heart disease and diabetes. Although snacks often have a bad reputation for being unhealthy, they are very important to keep you fueled and nourish your body throughout the day. Snacks should have some protein, fiber and carbohydrates and should not have too much salt or sodium. Stress can also indirectly lead to problems with your metabolism. People with high amounts of cortisol, a stress hormone, tend to be overweight, and being overweight can slow your metabolism. Lowering your cortisol levels can start a chain-reaction that can help your metabolism run more efficiently. What does your metabolism do over time? Believe it or not, metabolism—just like the rest of our body—goes through the aging process. As your metabolism slows, your continuous diet and exercise choices become more important. While the cause for this is unclear, women entering menopause will experience a slower metabolism and can find it more difficult to stay at a healthy weight, which makes diet and exercise vital to healthy aging. If you’re worried about how your metabolism is affecting your lifestyle, contact your health care provider or sit down with a registered dietician to set up a plan for a healthier daily life. Impact craters larger than about 180 miles (300 kilometers) in diameter are referred to as basins. With increasing size, craters tend to have increasingly complex structures, often with multiple concentric, raised rings. Orientale is about 580 miles (930 kilometers) wide and has three distinct rings, which form a bullseye-like pattern. 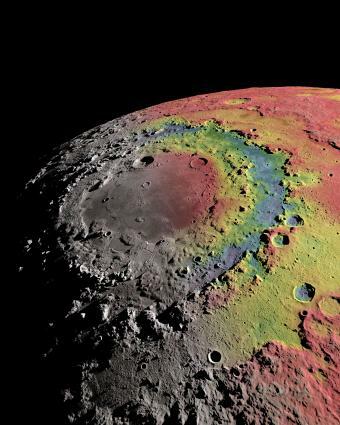 Formed about 3.8 billion years ago, the Orientale basin is located on the southwestern edge of the Moon’s nearside, just barely visible from Earth. The basin’s most prominent features are three concentric rings of rock, the outermost of which has a diameter of nearly 580 miles. 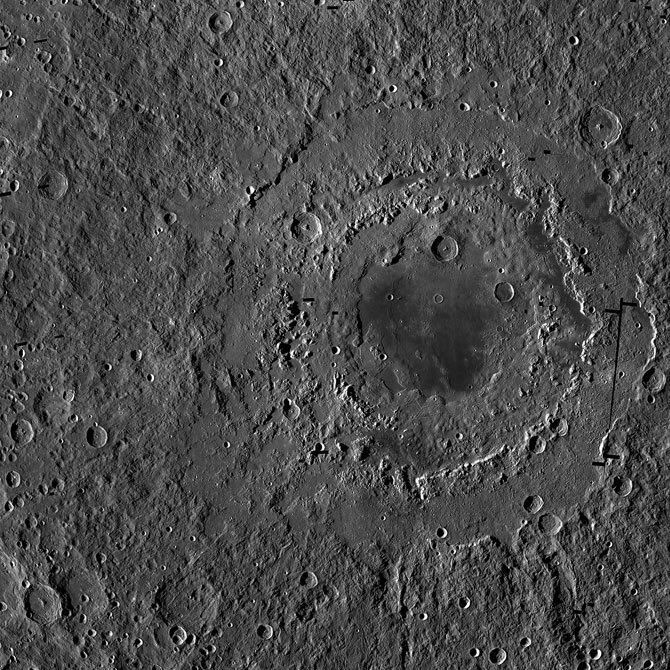 Located along the moon's southwestern limb -- the left-hand edge as seen from Earth -- Orientale is the largest and best-preserved example of what's known as a "multi-ring basin." 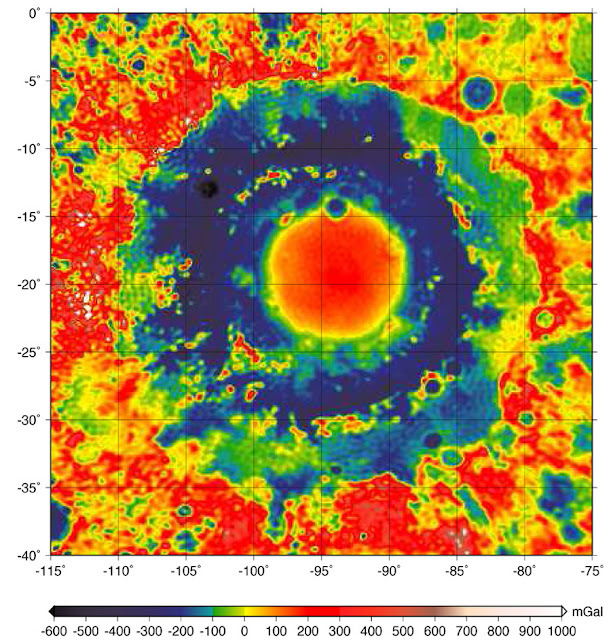 The Orientale basin is the youngest of the large lunar basins. The distinct outer ring is about 950 km from east-to-west, the full width of the LROC WAC mosaic is 1350 km. Orientale Basin gravity map (red=high, blue=low). Generated from GRAIL Colorized Gravity Anomalies (JPL) layer with LRO-WAC Shaded Relief at 30% opacity overlain. With a diameter of roughly 2000 km and a depth of over 7 km, the Hellas Basin is the largest impact feature on Mars. 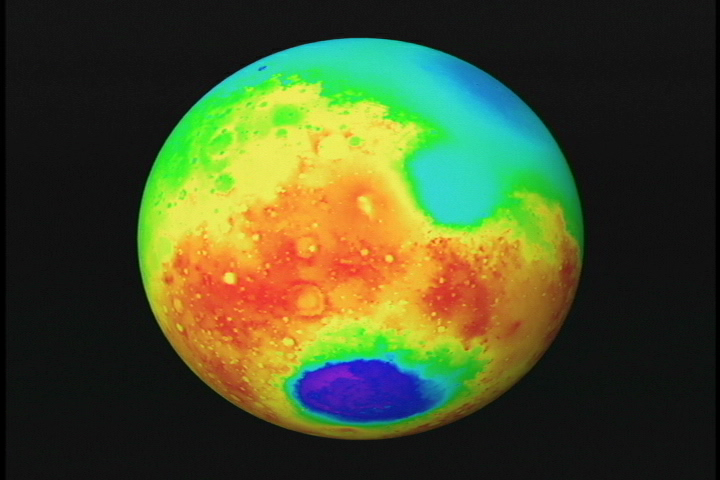 Hellas, near the Martian South Pole, is thought to have formed between 3.8 and 4.1 billion years ago, when a large asteroid hit the surface of Mars. Since its formation, Hellas has been subject to modification by the action of wind, ice, water and volcanic activity. The image was taken by the Mars Orbiter Laser Altimeter, or MOLA, which is an instrument on the Mars Global Surveyor (MGS), a spacecraft that was launched on November 7, 1996. 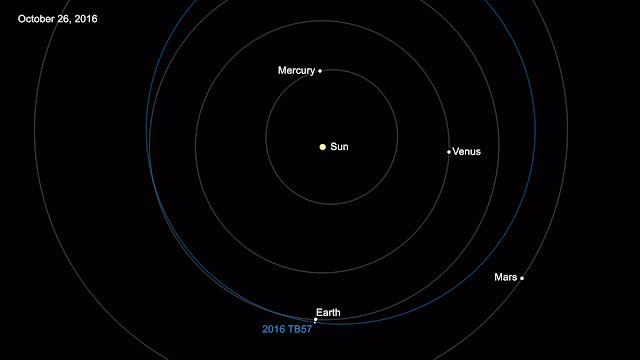 The 15,000th near-Earth asteroid discovered is designated 2016 TB57. It was discovered on Oct. 13, 2016, by observers at the Mount Lemmon Survey, an element of the NASA-funded Catalina Sky Survey in Tucson, Arizona. The following chart shows the cumulative number of known Near-Earth Asteroids (NEAs) versus time. Totals are shown for NEAs of all sizes, those NEAs larger than ~140m in size, and those larger than ~1km in size. Asteroid 2013 MZ5,the 10,000th NEO, as seen by the University of Hawaii's PanSTARR-1 telescope. In this animated gif, the asteroid moves relative to a fixed background of stars. Asteroid 2013 MZ5 is in the right of the first image, towards the top, moving diagonally left/down. Astronomers using observations from NASA's Kepler and Swift missions have discovered a batch of rapidly spinning stars that produce X-rays at more than 100 times the peak levels ever seen from the sun. The stars, which spin so fast they've been squashed into pumpkin-like shapes, are thought to be the result of close binary systems where two sun-like stars merge. "These 18 stars rotate in just a few days on average, while the sun takes nearly a month," said Steve Howell, a senior research scientist at NASA's Ames Research Center in Moffett Field, California, and leader of the team. "The rapid rotation amplifies the same kind of activity we see on the sun, such as sunspots and solar flares, and essentially sends it into overdrive." These rare stars were found as part of an X-ray survey of the original Kepler field of view, a patch of the sky comprising parts of the constellations Cygnus and Lyra. From May 2009 to May 2013, Kepler measured the brightness of more than 150,000 stars in this region to detect the regular dimming from planets passing in front of their host stars. The mission was immensely successful, netting more than 2,300 confirmed exoplanets and nearly 5,000 candidates to date. An ongoing extended mission, called K2, continues this work in areas of the sky located along the ecliptic, the plane of Earth's orbit around the sun. "A side benefit of the Kepler mission is that its initial field of view is now one of the best-studied parts of the sky," said team member Padi Boyd, a researcher at NASA's Goddard Space Flight Center in Greenbelt, Maryland, who designed the Swift survey. For example, the entire area was observed in infrared light by NASA's Wide-field Infrared Survey Explorer, and NASA's Galaxy Evolution Explorer observed many parts of it in the ultraviolet. "Our group was looking for variable X-ray sources with optical counterparts seen by Kepler, especially active galaxies, where a central black hole drives the emissions," she explained. Using the X-ray and ultraviolet/optical telescopes aboard Swift, the researchers conducted the Kepler–Swift Active Galaxies and Stars Survey (KSwAGS), imaging about six square degrees, or 12 times the apparent size of a full moon, in the Kepler field. "With KSwAGS we found 93 new X-ray sources, about evenly split between active galaxies and various types of X-ray stars," said team member Krista Lynne Smith, a graduate student at the University of Maryland, College Park who led the analysis of Swift data. "Many of these sources have never been observed before in X-rays or ultraviolet light." The researchers used Kepler measurements to determine the rotation periods and sizes for 10 of the stars, which range from 2.9 to 10.5 times larger than the sun. 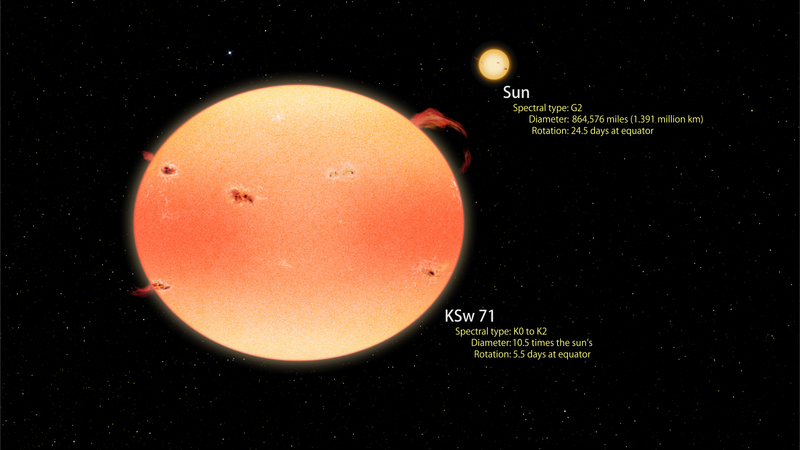 Their surface temperatures range from somewhat hotter to slightly cooler than the sun, mostly spanning spectral types F through K. Astronomers classify the stars as subgiants and giants, which are more advanced evolutionary phases than the sun's caused by greater depletion of their primary fuel source, hydrogen. All of them eventually will become much larger red giant stars. "Webbink's model suggests we should find about 160 of these stars in the entire Kepler field," said co-author Elena Mason, a researcher at the Italian National Institute for Astrophysics Astronomical Observatory of Trieste. "What we have found is in line with theoretical expectations when we account for the small portion of the field we observed with Swift." 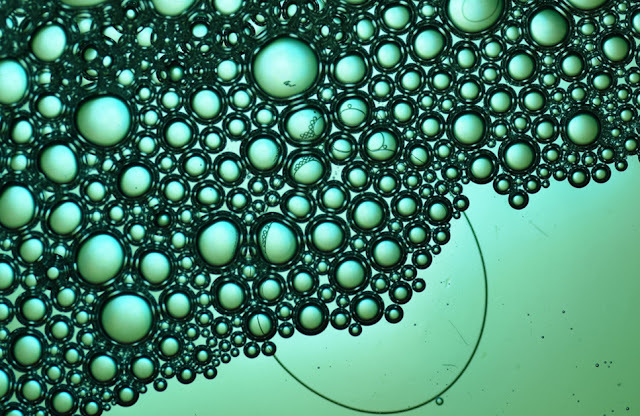 The discovery of a perfect soap molecule could have major impact on multibillion-dollar cleaning products industry. The OFS soap molecules made from renewable sources could dramatically reduce the number of chemicals in cleaning products and their impact on the environment. The new OFS soap eliminates the hard water problem by using a naturally derived source that does not bind strongly to minerals in water. The researchers found that OFS molecules were shown to form soap particles (micelles) even at 100 times the conventional hard water conditions. As a result, a cleaning product’s ingredient list could be significantly simplified. Citation: “Tunable Oleo-Furan Surfactants by Acylation of Renewable Furans,” DOI: 10.1021/acscentsci.6b00208 at ACS Central Science website. Our cells regularly break down proteins from our own bodies and from foreign bodies, such as viruses and bacteria. Small fragments of these proteins, called epitopes, are displayed on the surface of the cells like little flags so that the immune system can scan them. If they are recognized as foreign, the immune system will destroy the cell to prevent the spread of infection. The research was led by Dr Juliane Liepe from Imperial College London and Dr Michele Mishto from Charité - Universitätsmedizin Berlin in Germany in collaboration with the LaJolla Institute for Allergy and Immunology and Utrecht University, and it is published today in Science. Video caption: A 3D printed a proteasome, shown creating a spliced epitope by cut-and-paste. Scientists knew about the existence of the spliced epitopes, but they were thought to be rare. The new study suggests that spliced epitopes actually make up a large proportion of signalling epitopes: they make up around a quarter of the overall number of epitopes, and account for 30-40 per cent of the diversity - the number of different kinds of epitopes. Citation: 'A large fraction of HLA class I ligands are proteasome-generated spliced peptides' by Juliane Liepe, Fabio Marino, John Sidney, Anita Jeko, Daniel E. Bunting, Alessandro Sette, Peter M. Kloetzel, Michael P.H. Stumpf, Albert J.R. Heck, and Michele Mishto is published in Science. 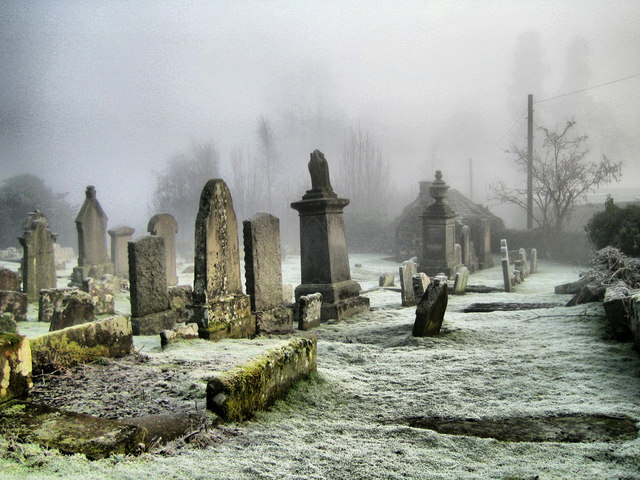 Halloween is around the corner, and with that comes haunted houses and corn mazes, mummies, ghosts and creatures of the night jumping out at you—all sure to give a harmless fright, or so we thought. 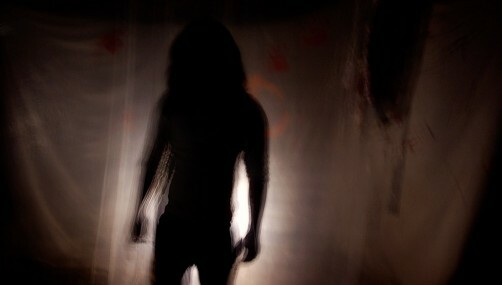 Can that scary monster sneaking up behind you actually scare you to death? The answer may be as spooky as it gets. How can fear turn fatal? Your body has an automatic nervous system, called the sympathetic nervous system, that governs the fight-or flight-response—the body’s natural protective mechanism. When faced with a life-threatening situation, the nervous system triggers the release of the hormone adrenaline into the blood, sending impulses to organs to create a specific response (typically increased heart rate, increased blood flow to muscles and dilated pupils). While the adrenaline rush can make people faster and stronger (hence the advantage to primitive humans), there is a down side in revving up your nervous system. In rare instances, if the adrenaline kick is too high or lasts too long, your heart may overwork and cause tissue damage or constriction of blood vessels, in turn, raising blood pressure. “This exaggerated response can actually damage the cardiovascular system in several ways,” Erwin added. In addition to raising the blood pressure and risking heart attack or stroke, it can cause more long-lasting damage to organs if these neuro-hormones are elevated over time or if there is an imbalance in the chemicals. While it may be rare for a completely healthy individual to drop dead from fear, those with a predisposition to heart disease are at an increased risk of sudden death. “Some people with genetic heart abnormalities who get a sudden rush of adrenaline can have a cardiac arrhythmia,” Erwin said. “They can have an episode where their heart goes out of rhythm, and that can be fatal.” For example, if a woman with damaged heart tissue were to be held at gunpoint, she could experience fatal rhythm abnormalities or increased oxygen demands of her heart that may not be adequately supplied due to blockages or abnormal responsive mechanisms of her blood vessels. People who experience a great fear can also develop a condition called takotsubo syndrome, or broken-heart syndrome. Scientifically known as stress-induced cardiomyopathy, ‘broken heart syndrome’ can present in healthy individuals with no prior cardiac problems. In rare cases of takotsubo syndrome, a suddenly weakened heart can’t pump enough blood to meet the body’s needs and the rapid rise of stress hormones in the body essentially ‘stuns’ the heart. 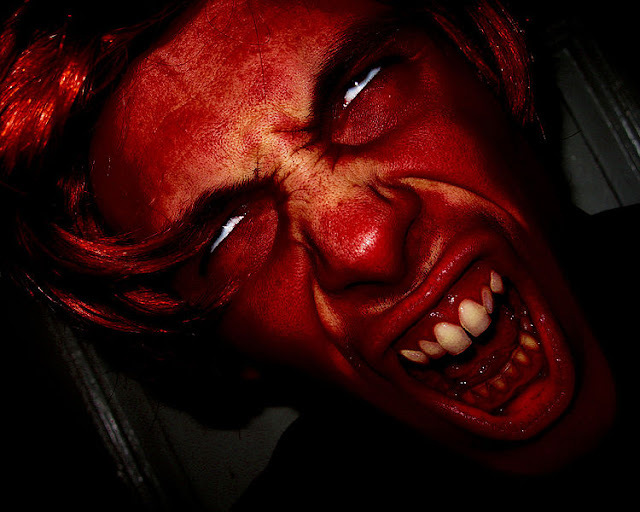 What are some long-term effects of being scared? It’s often said, “What doesn’t kill you, will only make you stronger,” but that’s definitely not the case when it comes to repeat exposure to fear. Depression and fear can live along the same emotional spectrum, as many people can express fear instead of a sadness as a sign of depression. And, unfortunately, depression and anxiety can also increase the odds of being scared to death. And while constant exposure to fear may lead to common heart problems or anxiety, there is a possibility that it can lead to even greater problems down the line. While working your heart muscle can be good for your health, constant exposure to fear does not have the same beneficial effects as a jog in the park. Do You Have a Saggy Brain? Is This How Farming Began 23,000 Years Ago?